You see, there is no such thing as race or races, traditionally understood. Scientists long ago proved that race is not a biological reality but a myth, a socially constructed concept. Yet, despite the data, human beings have been programmed to associate specific things to certain “racial groups”; things like intelligence, work ethic, family values, and behavior. As such, we have been brainwashed to think that some groups are inherently better than others, and that the White race – to be frank – is better than all. Race – as one of my favorite sociologists, the late (and great) Stuart Hall put it – is a “floating signifier,” meaning that it is a fluid concept which has specific connotations during certain moments in history. Races, in short, have never been exclusively biologically determined but rather politically constructed by powerful people, usually dominant groups in societies. Let me be clear here. There is nothing rational about Islamophobia. Treating Muslims poorly because they are Muslim is racism. It is that simple. If someone gives a Muslim woman wearing the hijab a dirty look, sorry, but you are racist. If someone assaults a Muslim woman wearing the hijab – which has recently happened in Toronto – yeah, you are a racist. Time to face the music. Need more proof that Islamophobia is a form of cultural racism? Consider the experience of Inderjit Singh Mukker. Mukker was assaulted in September 2015 for “looking Muslim;” he was dragged out of his car and beaten to a pulp by a man screaming “you’re a terrorist, bin Laden!”. The twist here is that Mukker is not even Muslim; he is Sikh. The perpetrator of this crime looked at Mukker’s turban and thought “he’s a Muslim. He’s dangerous.” A cultural symbol, in this case, was used as a signifier to judge an entire group of people, however wrongly. Is this racism? Most definitely. Even Sikhs suffer from Islamophobia. Next Post Trump and ISIS Like To Use Torture. Washington and Muhammad Did Not. Thanks to Craig Considine for so clearly laying out the Alice in Wonderland thinking of progressives in general, and sociologists in particular, on the subject of racism. If, as he claims, race does not exist then racism cannot exist either. 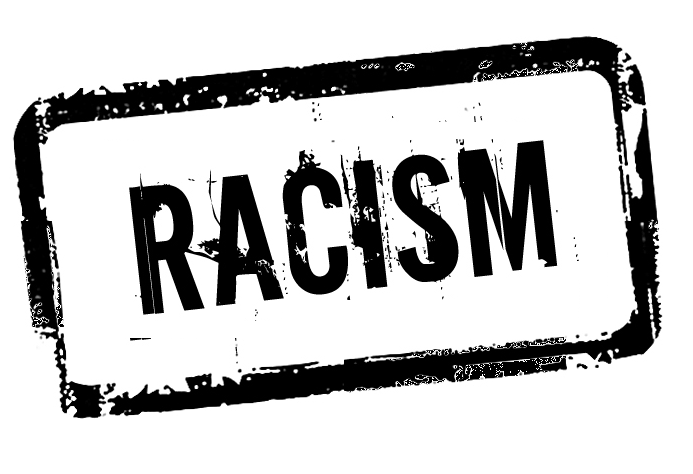 It is just a mistake in thinking and the word “racism” in the term “cultural racism” is a redundancy. Why not call the contempt that some groups feel for others, based on colour of skin, religion or any other difference simply “culturalism”? If on the other hand it is legitimate to use the word racism to refer simply to thinking of other groups as less than one’s own then there are no limits. Surely, in that case, sexism is racism, tribalism is racism, the contempt of Guardian readers for Daily Mail readers is racist and the religious apartheid in Islam between Muslims and non-Muslims must be racist – in spades. And yet we never hear the word used that way. The term is reserved almost exclusively for White people. Isn’t that racist in itself? Men like Considine, apologists for Islam and who attempt to silence and snuff out critique of Islam and its hateful manifestations by screaming ‘racism’ to attempt to shame vital critique at a time in which an ideology that views humans who are not Muslim as inferior ‘kaffir’ worthy of being killed, are amongst the most morally craven people around right now. In a large field, there is probably no bigger craven dhimmi and useful idiot than him. If he had his way, apostates from Islam would be imprisoned in the West, and non Muslim kuffar would have to live with their heads bowed down so as not to upset or offend even the worst of jihadi and Islamist bigots. And the dhimmi never sees how intrinsically racist the Islamic conception of ‘the other’, that is, the ‘kaffir’ is. Considine and his fellow dhimmis have the blood of those in Paris on their hands. We will resist your evil. Sure Peace activist who speak the truth are always at the ed of a firing Gun like Craig Considine . Keep up the good work Craig Considine. Craig Considine – let me correct you on certain aspects of Islam. 1. Islam condemns racism in every shape. Holy Qur’an clearly says that Allah don’t differentiate between an Arab and non-Arab or male vs female. Each believer will be judged by his/her deeds in the life after death. The racism you see among Muslim societies is cultural which Muslims adopted as they spread into different lands and got mixed with non-Islamic cultures. 2. Jewish religion is based on mother lineage. One is Jew no matter even if he doesn’t believe in G-d, if he/she is born to a Jewish-born mother. In Islam one is Muslim, only if he/she practice what Prophet Muhammad (pbuh) said. 3. Islam is NOT a “religion” like Judaism, Christianity, Hinduism, Buddhism or Sikhism. Islam is DEEN (the “Way of Life”, from birth to death), which includes politics, banking, wars, family, charity and relationship with non-Muslims. 4. Islamophobia is fear of Islam, thus not racism against Muslims. There has never been shortage of ‘Munafiqeen’ (traitors) among Muslims. They’re known “Zionists” these days and are very popular among the pro-Israel Jews and Christians.